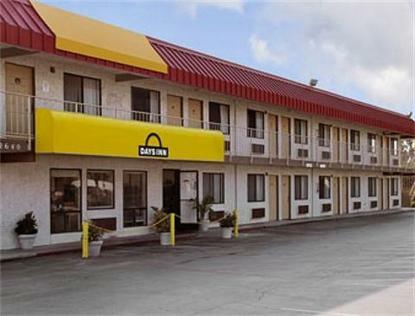 Welcome to the Days Inn Fresno South. We are conveniently located off Hwy 99 and Hwy 41. We are in close proximity to downtown Fresno and within walking distance of restaurants &amp shopping. Whether on business or pleasure we are sure to please. We offer Complimentary High Speed Internet Access, USA Today Newspaper, Daybreak Continental Breakfast, Pool &amp Jacuzzi, Guest Laundry, Premium Cable TV with 5 HBO's, Micro/Fridge Available and Business Place Rooms with work desks and iron &amp ironing boards. We are within a short driving distance from the Convention Center and Fairgrounds, Save Mart Event Center/ Univ./Fresno State, Fresno Community Hospital, CA School of Prof. Psychology, Tablemountain Casino, Fresno Fairgrounds, Convention Center, Blossom Trail, Underground Gardens, Yosemite, Sequoia and Kings Canyon National Parks. Our property is part of the Fresno Convention &amp Visitors Center. Tour Groups Welcomed, Senior Citizenship/AARP and AAA Members Welcomed, Commercial Drivers Discount Available.